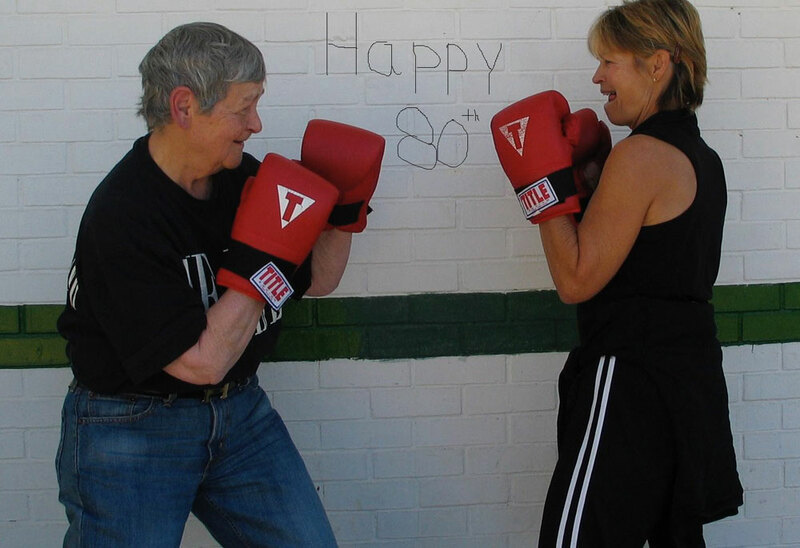 Over the past 20 years, I have taught boxing and kickboxing to people from 40-96 years old, witnessing the incredible improvement in balance, reaction time, agility, hand-eye coordination, power, strength and confidence. 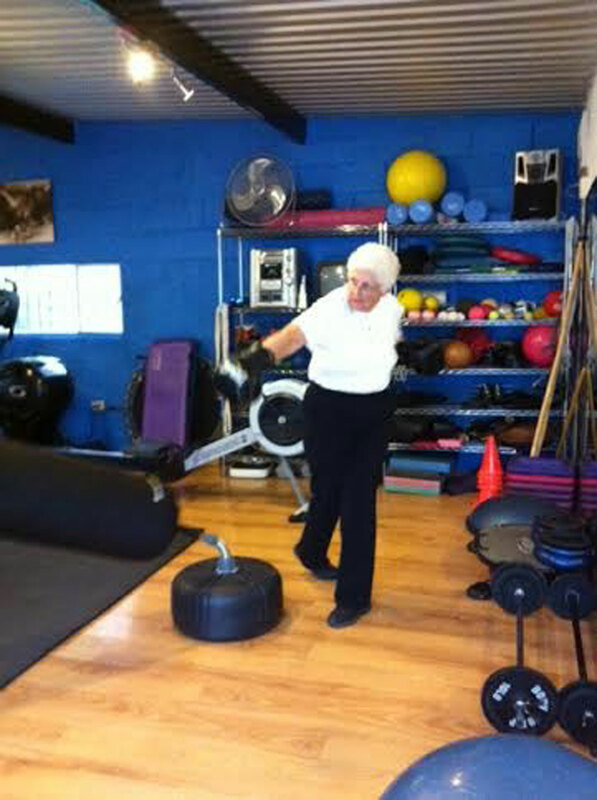 My clients have included people post-stroke, suffering from Parkinson’s, aging and balance issues. Each and every one improved varying aspects of their challenges. 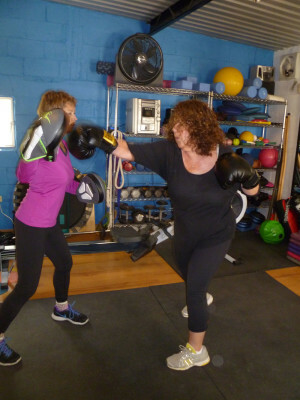 Boxing is my favorite way to train clients for fun and fitness. 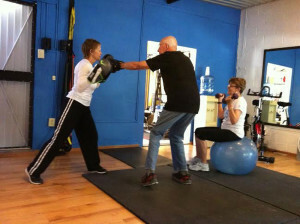 Levels of intensity are customized for each person that guarantee a safe, yet thorough workout. 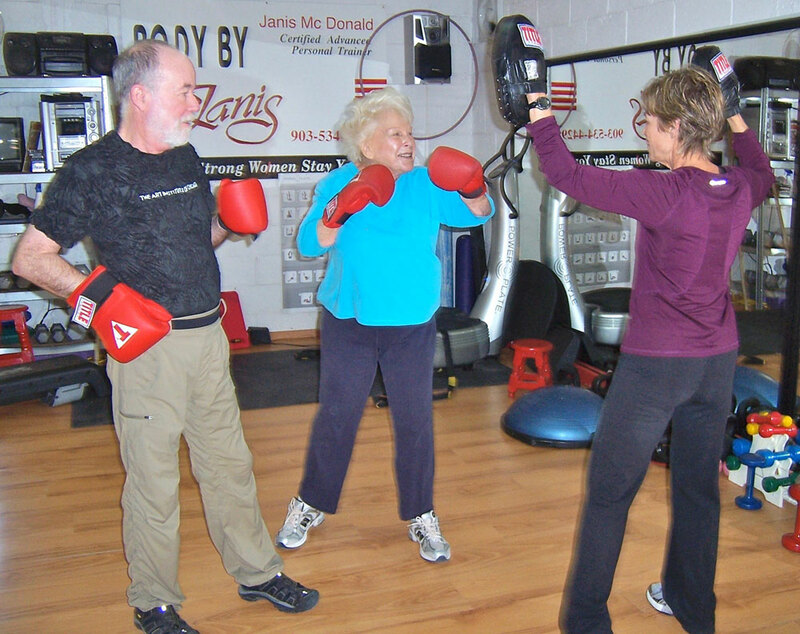 Dan, 80 years old, came to the Live Like You Can Gym with his wife Joan looking for a way to keep their SuperAger repetitions. 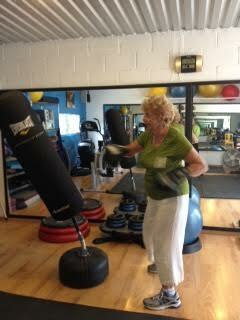 Dan discovered boxing and within a few weeks secured all 4 punches as well as footwork! That’s when I gave him the name, Dynamite! 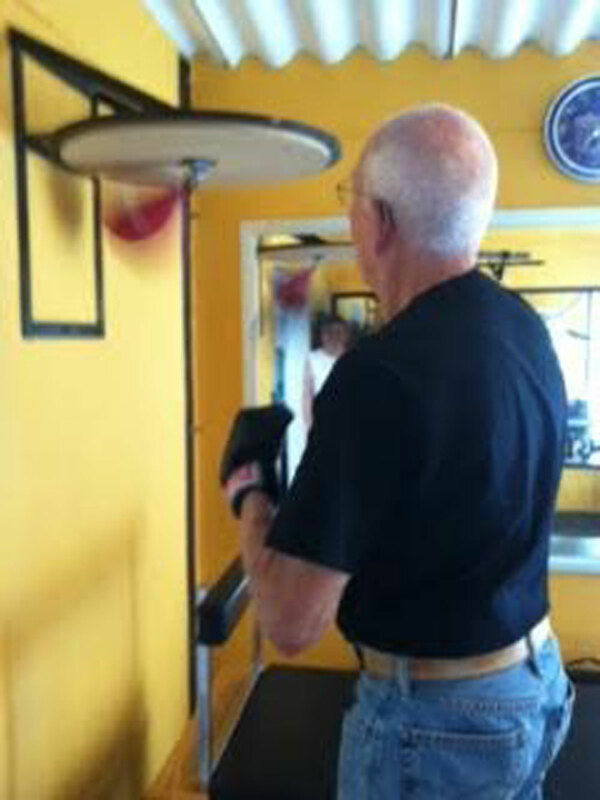 Hurricane Geraldo (aka Gerry Weinberg ) is a 75 year old stroke survivor who has benefited greatly from boxing raining. 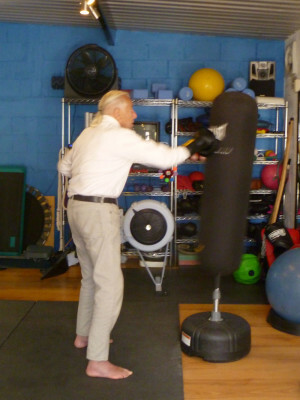 Gerry told me, “I have greater confidence in using my left hand, improved vision and coordination.” Hurricane is committed to continuing his training and has recruited his wife to assist him! Watch out for his left, it is fast and powerful! 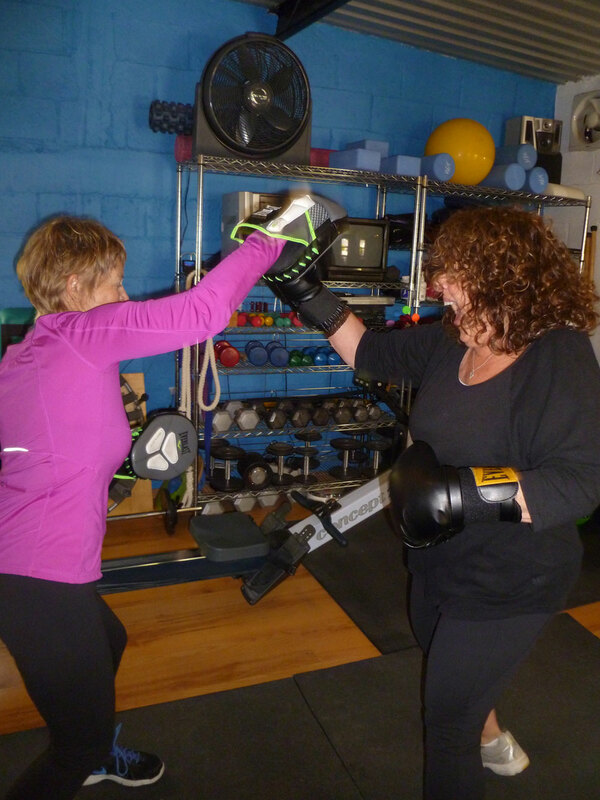 Laurie and I worked together for the last several years, always looking for the perfect, fun and motivating workout for her to take home to the NorthEast. 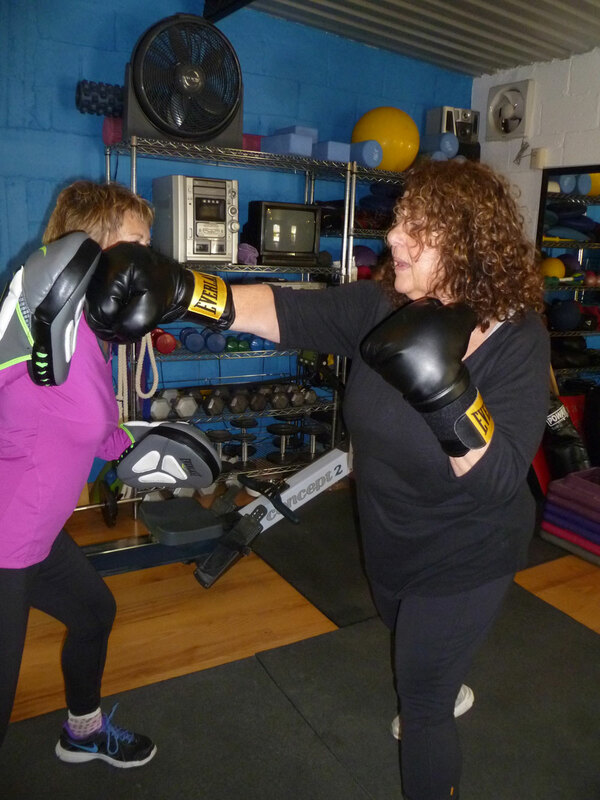 Last year, Lethal was born and she became a passionate “Boxing for Life” devotee. 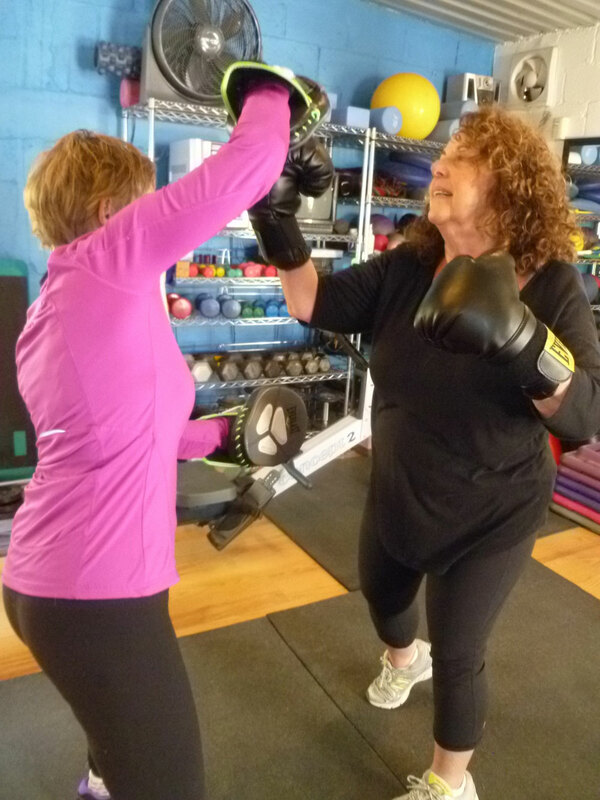 This year, we boxed like mad during her 3 months in San Miguel de Allende, Mexico. She returned home with a willing husband to partner to help to keep on keepin’ on at home. 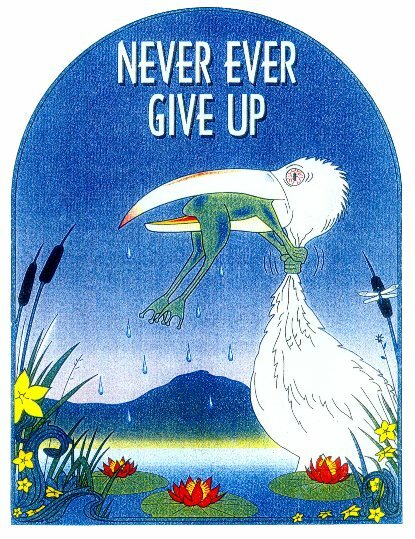 Mighty Mitch – Watch Him Go! Mitch’s friend, Hurricane Geraldo, brought him to the Live Like You Can Gym a week before he was scheduled to return to the states. Mitch suffers from a disorder that causes lower body weakness and balance issues. 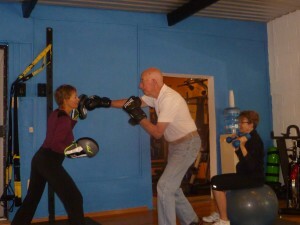 However, within 30 minutes, Mitch was on his feet, his body remembering his old boxing days like it was yesterday. 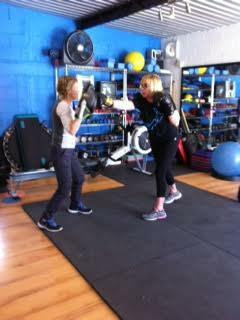 When his legs got tired, we boxed sitting down (and yes, it is entirely possible)! 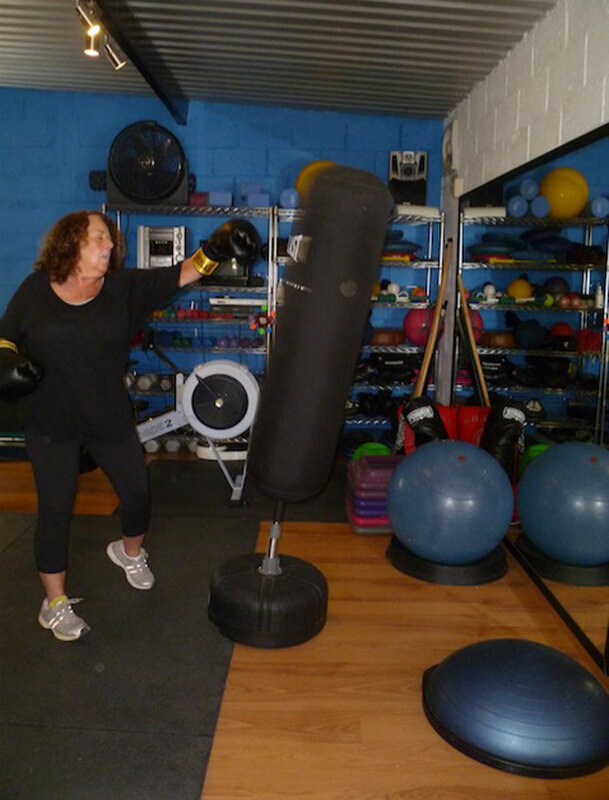 After moving only 2 years ago to Mexico, lock, stock and barrel, Lola and Arthur found the Live Like You Can Gym and became my most “grown up” clients to date! Lots of energy, wisdom and love.